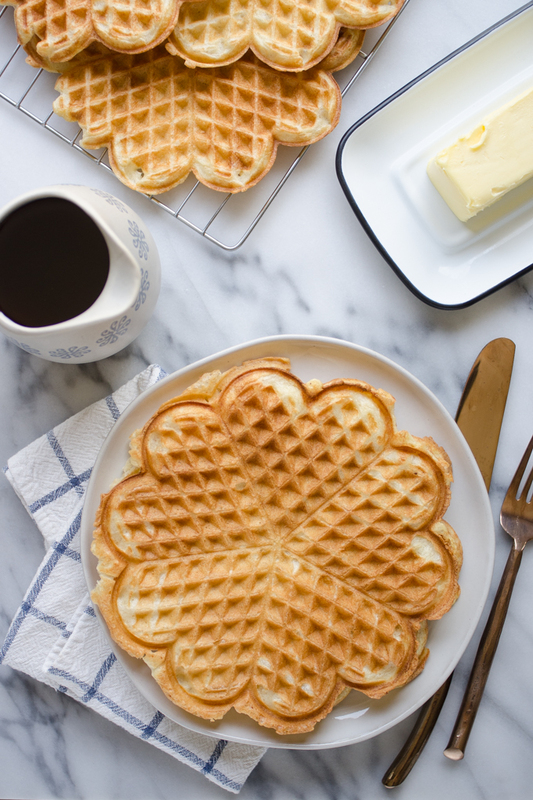 These overnight sourdough waffles have quickly become a family favorite! You guys. I have discovered the wonderful world of sourdough! I’m so excited to share more about it, but for now I want to talk about these amazing waffles. My first bite of these overnight sourdough waffles and I was sold. Done. Why would I want to make any other waffles ever again? Well, that’s being a bit dramatic. But these are goooood. I had heard that sourdough waffles were amazing, and now I know what all the fuss is about. Crispy with a hint of yeasty, sourdough flavor, and so easy to make. Simply mix together a few ingredients for the overnight “sponge”, then add a few more things the next morning when you’re ready to cook the waffles. It’s been our Saturday ritual the last month or so to whip up a batch of these overnight sourdough waffles. What a wonderful start to the weekend! Something else that I’ve been enjoying lately is my new waffle iron! The folks over at Pleasant Hill Grain were kind enough to send it to me to test out, and I’m so glad they did. I’ve had a cheap teflon-coated electric one for years, and I always felt a bit bad about using it. It was the only nonstick cookware that I owned, and it was starting to cook unevenly. When I finally decided to try to make the switch to a cast iron waffle maker, I was disappointed that most of them were made in China. So I held out a while longer. 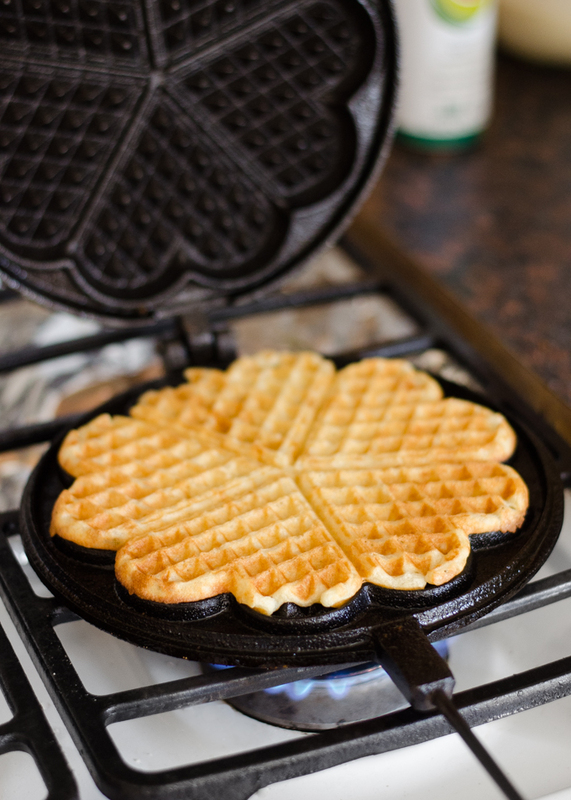 Then I saw this Skeppshult cast iron waffle maker on the Pleasant Hill Grain website, which I had considered buying in the past, and glory be: it’s made in Sweden! Of course I wanted to try it out. I have used this waffle iron multiple times, and I only had an issue with the waffles sticking a few of those times. After I sprayed it generously with avocado oil and ran some waffles through it, it righted itself and the waffles no longer stuck. And I’m assuming it will only get better over time if I treat it properly and make sure to keep it well seasoned. Cast iron waffle makers are notorious for sticking, so I was pleased that it wasn’t an irreparable issue. When you spray the iron with oil, it tends to drip out the back of the iron a bit onto your stovetop. It wipes up really easily, or you can lay down a piece of aluminum foil to catch any drips. I made a little tray of foil and it worked well! 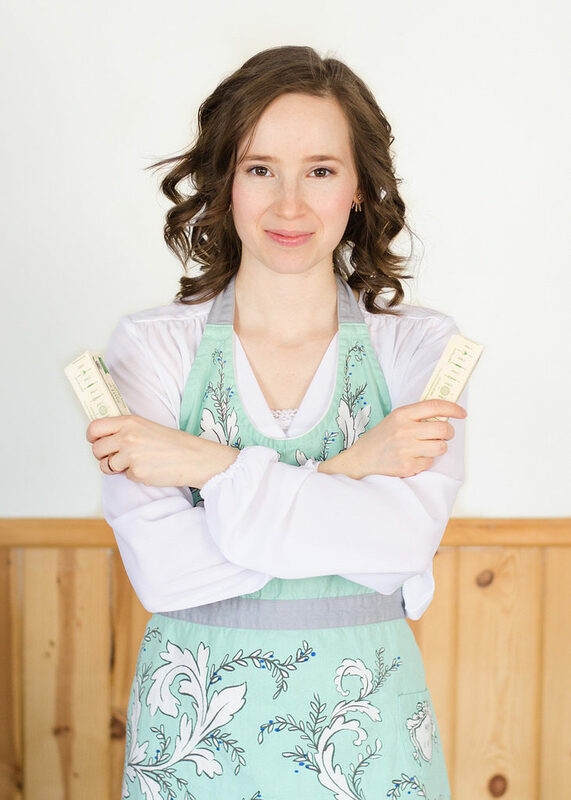 I highly recommend picking up a can of avocado oil spray – it makes greasing the iron so easy! This one is actually more of a pro than a con, but I thought I’d mention it: The iron is actually fairly heavy! But I wouldn’t really have it any other way. I can tell that it’s well built because it has some weight to it. It swivels easily on my stove grates, so it isn’t really an issue for me. I can honestly say that after testing this iron I would buy it for myself. But I feel like I need to nitpick for you guys. ❤ It’s not exactly the same as a nonstick iron and it requires a little more hands-on time, but I’m so glad that I don’t have to use toxic materials when we want to enjoy waffles anymore! If you have any questions about this iron, don’t hesitate to ask in the comments! 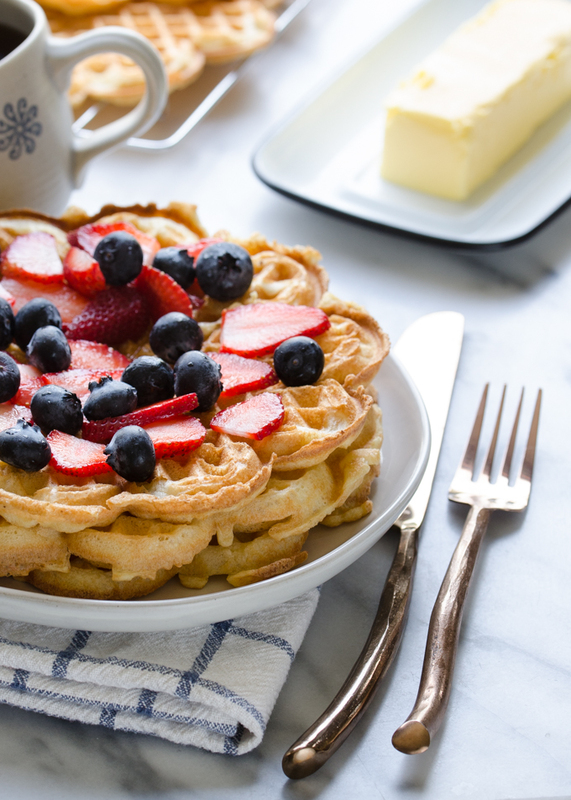 The trick to getting evenly cooked waffles is mastering The Art of the Flip. I like to preheat the iron for 2 minutes on 1 side between cooking each waffle, flip the iron, add the waffle batter, and cook for 1 minute on the un-preheated side. Then I flip it and cook for 1 more minute on the other side. It’s really easy once you get the hang of it. Just remember: Preheat 2 minutes, flip, add batter, and cook for 1 minute on each side. Another trick is finding the right balance of heat. I find that a good medium works well. You don’t want it blazing hot, and you don’t want a timid flame. Right in the middle is good. There’s just nothing quite so sublime as a crispy, golden-brown waffle slathered with butter and drizzled with maple syrup. Am I right?! WRONG. When you add fresh fruit, it gets even better! 😍 I’ll sometimes get ambitious and add a dollop of whipped cream as well. Heaven! 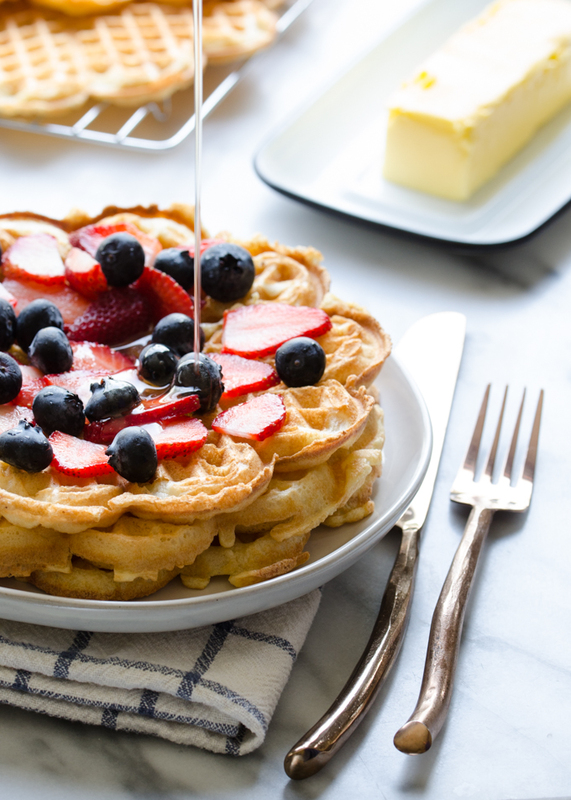 Mix up a batch of these Overnight Sourdough Waffles on Friday night and enjoy a scrumptious Saturday morning breakfast. These reheat nicely, so you could make a double batch and eat them throughout the week. The kids LOVE it when we have leftover waffles, and I love that breakfast is mostly made in advance. 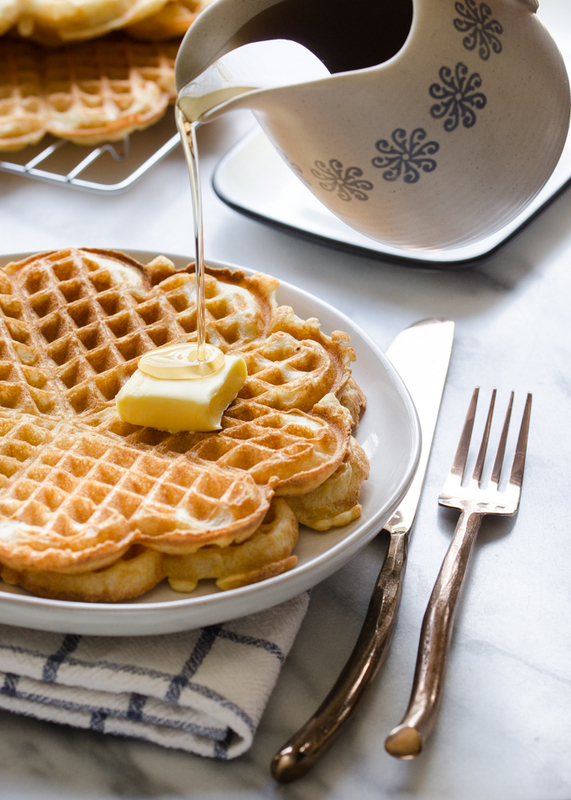 These sourdough waffles can rise overnight so you can quickly cook up a batch the next morning! Whisk together the sourdough starter, buttermilk, flour, and sucanat until smooth. Cover and let sit on the counter overnight or 8-12 hours. 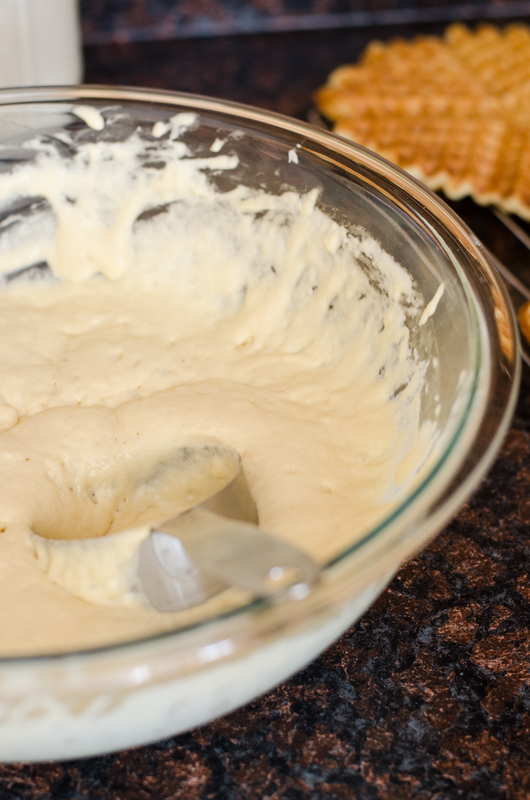 In a small bowl, whisk together the butter, egg, and vanilla. Whisk into the overnight sponge. Sprinkle the salt and baking soda on top of the batter. Whisk until incorporated. 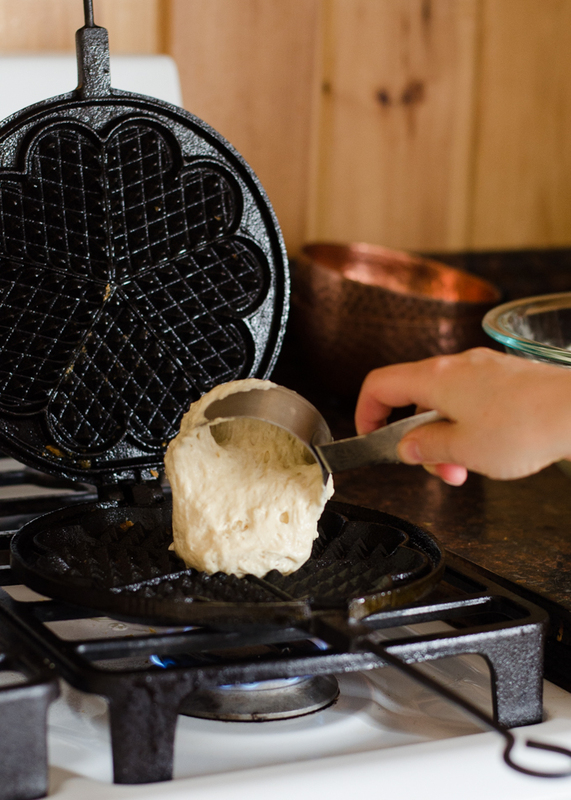 While you're mixing together the batter, preheat your cast iron waffle maker over medium heat on the stove for 5 minutes on each side. When you're ready to cook, flip the iron so that the hot side is on top. Spray generously on both sides with avocado oil. Add about 1/2 cup of batter, close the iron, and cook for 1 minute. Flip and cook for 1 more minute, or until the waffle is a lovely golden color. 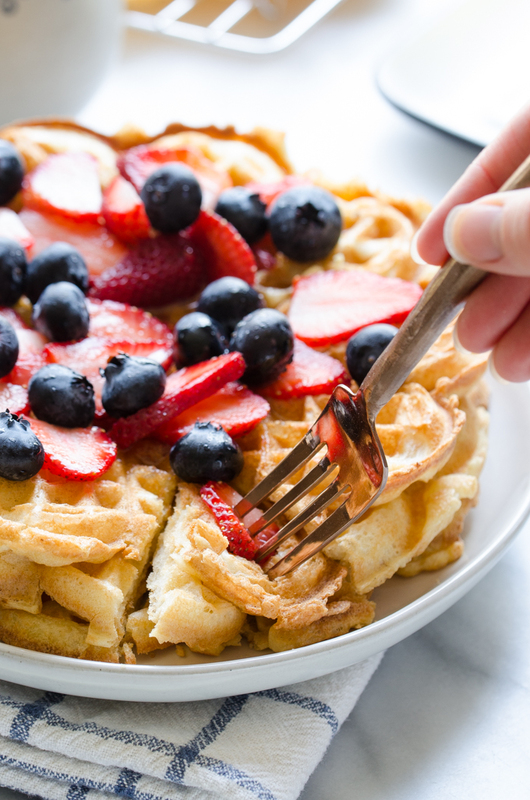 Remove waffle with a fork and eat immediately, or keep warm on a cooling rack-lined baking sheet in a 200 degree oven. Flip waffle iron and preheat for 2 minutes. After 2 minutes, flip again so that the hot side is on top. Add more batter, close, and cook 1 minute. Flip and cook for 1 more minute. Repeat the process of preheating for 2 minutes, flipping, + cooking for 1 minute per side until all of the batter is used up. Spray iron with avocado oil every few waffles, or after every waffle if they're wanting to stick. 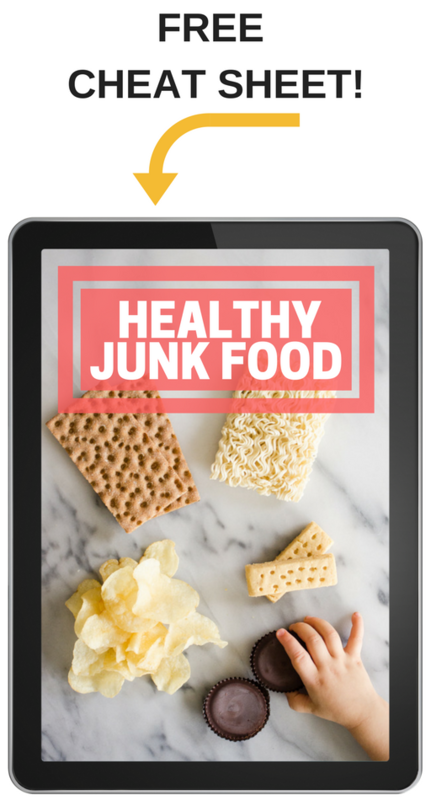 *Active starter simply means that you have fed it about 8 hours beforehand. I suggest feeding your starter Friday morning, mixing up the sponge Friday night, and cooking the waffles Saturday morning. *You can reheat any leftover waffles in a toaster. *If you use the higher amount of salt, these waffles are quite salty. I personally prefer this to the lower amount of salt, but you might prefer the lower amount. * Recipe adapted from NY Times. I’ve been using one that my sister made from scratch! 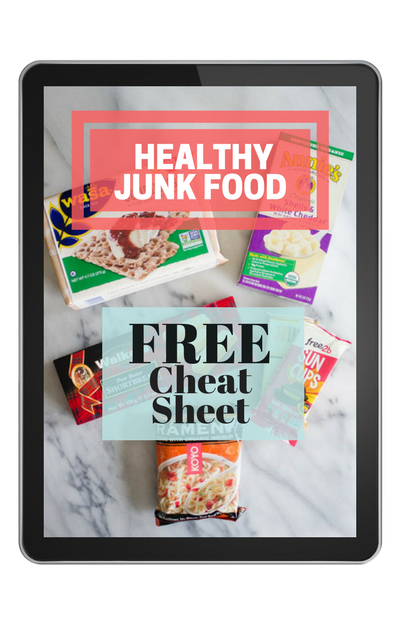 I’m going to try to make my own soon. 😊 Yes, isn’t it pretty?